When you have three young children you often hear things like “We don’t know how you do it financially” or “Man, that must be expensive.” I’ll be the first to admit that it isn’t exactly cheap to raise a family, but I refuse to give in to the myth that it has to be expensive. ‘Why is that?’ you ask. 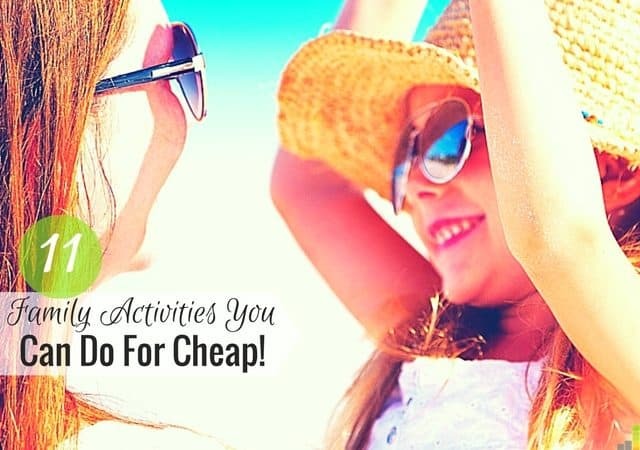 Because finances often come down to choices and we’ve chosen to come up with a number of frugal family fun activities we can do for free, or next to nothing, which helps us stretch our budget even further. This is not to say that frugal living means you have to eat rice and beans seven nights a week, but it does mean rejecting the idea that more stuff and regular outings as a family to see a movie that costs $10+ a person is the only way we can have fun. Instead, we choose family activities that allow us to save money as opposed to waste it. That money will do us much more good in our retirement accounts, 529s and vacation savings than it will being spent foolishly. 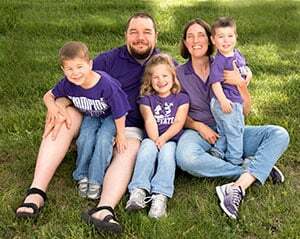 With that in mind, I thought I’d share some of our favorite frugal family fun activities we do regularly or semi-regularly that help us stretch our budget, and give us time together as a family. 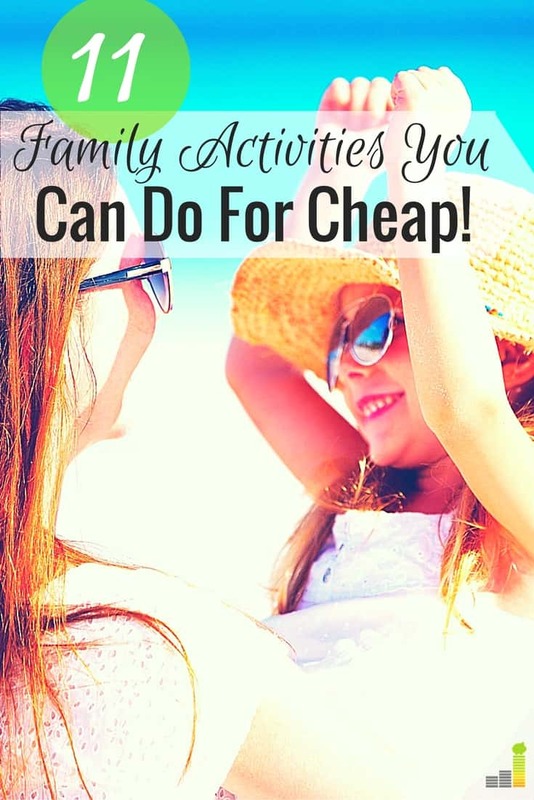 My list only scratches the surface – there are many things you can do frugally as a family that are low on the spend but high on the fun. This is the easy one. It’s a no-brainer really. Not only is going for a walk free, you get great time together as a family and exercise to boot. When you add in the imagination of three kids under seven God only knows where the walk will go. You can’t argue with free, especially if you’re looking for some frugal fun. We read together nearly every evening. ‘Why,’ you ask? It’s free, the kids love it and I think we as parents enjoy it more. It becomes even more fun when they can start reading themselves and read for the family. Those are memories that can last a lifetime. We’ve just started to do this. The kids will help Mrs. Frugal Rules cook breakfast and I’ve started to involve them some in grilling – safely that is. 🙂 Not only do you get to teach them something, but you get time together as well. We rarely go to the theaters anymore. We do have a ‘cheap theater,’ as we call it, that runs movies for $2.50 for adults and $2 for kids that we might go to a few times a year, but most of the time we choose to have movie nights at home. The library is a great option, though our local one doesn’t have much. You can always go the Netflix or Amazon route. If you have the Fire TV Stick you can also watch shows and play games on that. If you’ve not heard of Geocaching, you really should check it out. Think of it like a modern day treasure hunt. We’ve tried it a handful of times and the kids absolutely love it. They do have an app which costs $10, but you don’t have to have it by any means. Other than the cost of some gas and maybe a meal to take along this can be a great family fun activity with little cost. We garden quite a bit and have six good sized raised beds. As the kids have gotten older we’ve begun to involve them in the gardening process more. Not only does it help teach them where food really comes from, but it also gets them excited about eating healthy. Frugality isn’t about being a miser, but someone who gives back. We like to involve the family in serving someone else. This can be done in a variety of ways from volunteering at a soup kitchen, to putting together a box to take to a homeless shelter to volunteering at a pet rescue. This is great for helping us take the focus off ourselves and put it on someone else. This is another given for a frugal family fun activity. The library is free and many have multiple activities to involve children in the fun of reading – enough said. We’re not able to go to the park as much during the winter but we love going when the weather allows. Not only is it free and fun, but you get great time together as a family. We’ll often throw in a walk or include a picnic lunch/dinner to make it more of an outing. This is another one we can’t do much of during the cold winter months, but fishing can be a fun family activity. That’s also assuming we keep the rod away from the younger two. 😉 If you’re lucky, you might also get a meal out of it. Like I said in the beginning, this list of frugal family fun activities only scratches the surface. That said, there are many things you can do, family or no family, which are fun, provide hours of entertainment and/or exercise that don’t require you to put too much stress on the wallet. Again, it comes down to making choices and as you can see there are many choices – you just have to be willing to give some of them a try. What are some of your favorite frugal family fun activities? What’s your favorite thing to do that doesn’t cost a dime? How much does going to the movies cost where you live? Love this list! We have done all but geocaching, and would love to try that this spring. I would add camping to the list. It’s so much cheaper than getting a hotel and the kids love it. It is a lot of work but that makes it more rewarding. And we usually go with friends with young kids so everyone helps each other. We are getting ready to camp in Florida for a week with a group of over 100 friends. So fun! Movies cost about $11-12 here for a nighttime showing. It’s outrageous. Wow, that’s nuts! We’re at like $10.50…I think. I think what stresses me out most is the necessary costs of having a family like health care. We usually watch movies every weekend with popcorn of course! 🙂 And also, we do love board games my daughter loves to play snake and ladders. That’s a popular activity in our house as well. I just like to either stay inside or go outside (if the weather is nice) and just play. Use sticks as guns. Make a for tout of couch cushions. Do whatever our imagination can think of. It’s really cool seeing other peoples imagination at work. That’s the nice thing about kids – you never know where their imagination is going to go. A great list. We often make trips to the library, watch movies at home, play games. Sometime we just take a drive, to sight see around our local area, or to the beach. Nothing better for the soul than getting outside, and it’s usually free. Could not agree more Adam! We do quite a few of those, although I don’t want to catch a fish. I’d rather eat the worms than have to gut and fillet it. We don’t go to the movies too much, but they do offer free kids movies every Tuesday in the summer, and we try to take advantage of that as much as possible, and sometimes I feel like we live at the library. There are lots of cheap or free things to do if you look around a bit. We do a lot at the library as well, especially now that our middle child is starting to read. 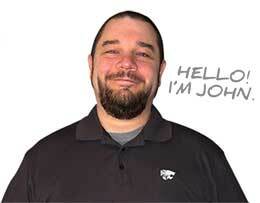 Great ideas John! I’m and adult and I still do some of these with my brother and parents when we have family nights. Some of these are also great ideas for things to do with your friends too. Thanks Kayla! We still do a lot of these things as well, even without the kids. I haven’t had the luxury (or problem?) of having to find frugal activities that keep kids engaged, but I know the family next door LOVES that we live across the street from a park. It really makes it easy to entertain the kids for “free” each day. They also take a lot of walks. Ha ha, good point. We do a lot of walks and time at the park as well. You can’t beat free exercise. We love to play board games or do puzzles together. It is a really great time now especially because it’s a sneaky way for us to find out more about my 9 year old son’s day. When we pick him up, all we get is “fine” but when we are playing a game, we can sneak in questions and he doesn’t feel like he’s getting interrogated. Ha ha, that’s awesome Shannon! This is a great list, John. Part of the beauty of these types of activities is that they also help to bring families closer together. For me, that’s a key reason for being frugal in the first place.